The Many Mini-Adventures of the Wards: "Oh what do you do in the WINTER-time?" "When all the world is cold? Do you play in the snow? Or watch as the storm goes by??? Is that what we do?" We play with our Christmas presents!! For Christmas this year, we decided to get back to basics. The kids each got a 300 count box of Citi-Blocks. 300 x 4 = 1200 Citi-Blocks. Yes, they are just regular ol' blocks. All the same size. 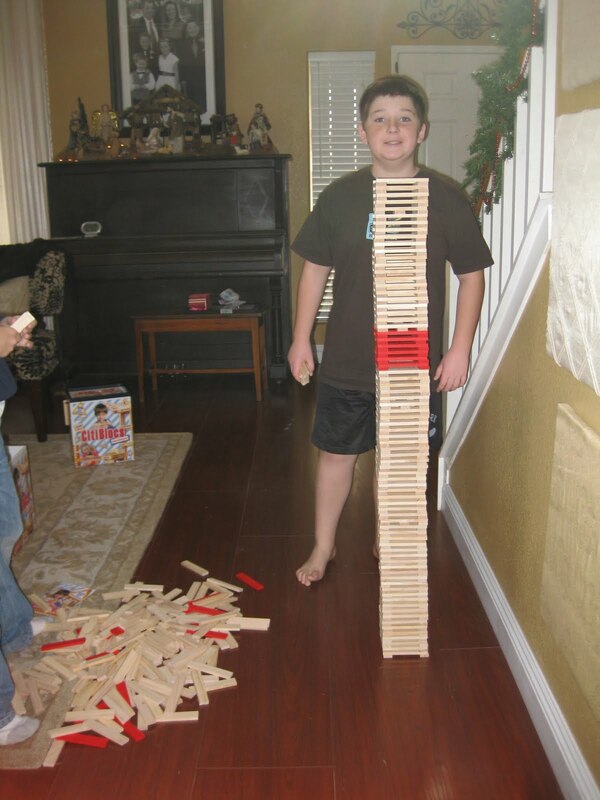 Good ol' wooden blocks. Because no matter what your age - blocks are fun! Right?! Well, that was what we learned last summer in the Children's Museum on our San Diego trip. 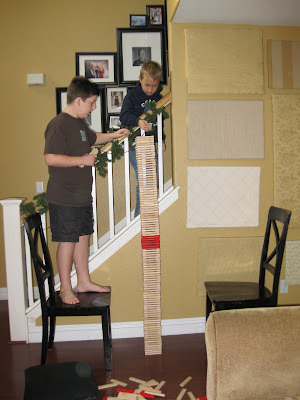 The kids played with those blocks for hours! And when Costco had them on sale for less than $10 a box - we knew we had to do it. His expression says it all, "Check it out, it's almost as tall as me." "Let me get out a chair so I can make this tower taller." 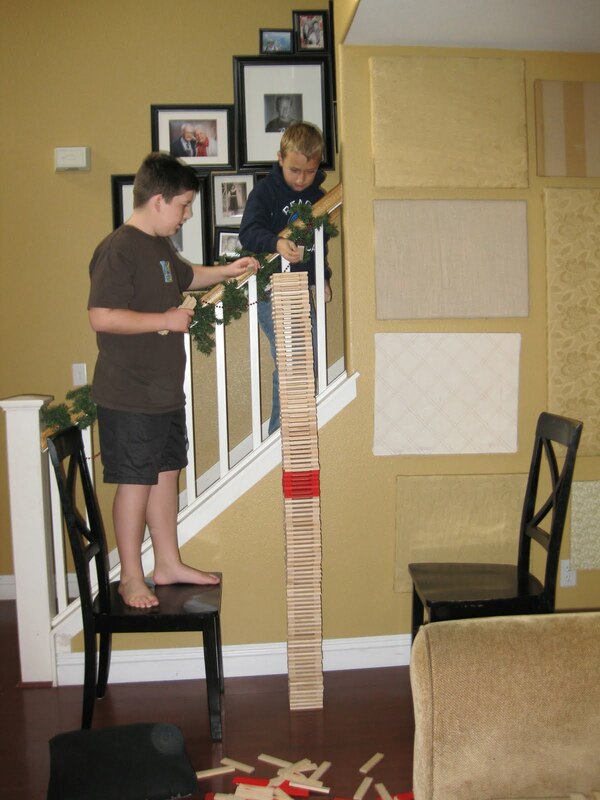 The ladder came out next and the competition began. That minor setback didn't deter their determination. Another Bigger, BETTER, tower was quickly constructed. And finally the pièces de résistance was complete. That thing was probably 11 feet tall!! And with one fail swoop... the madness was over. Oh, what do YOU do in the winter-time? Love the idea of blocks! I struggle ever year with what to get Beau, but it's always, always some sort of Lego set. He usually gets a few. Everyone loves legos....Joey stil plays with them.